Explore the extensive list and recordings of past webinars. These events have included a broad range of topics from preparing for an academic career to teaching energy awareness and teaching about risk and resilience. NAGT sponsors faculty development and topical webinars for educational and instructional purposes. These events provide opportunities for faculty to learn more about pedagogy, to share their classroom and professional experiences and teaching materials, and to discuss what works and what's needed in geoscience education. If you are interested partnering with NAGT, you can apply through the session, event, and program page. The NAGT supports webinars and discussions to help implementation of the framework for K-12 science education, the foundation for the Next Generation Science Standards. Participate in or explore resources from in-depth webinars devoted to Geoscience Education Research (GER). These webinars cover a wide breadth of topics supporting Earth educators. From incorporating metacognition and developing systems thinking to departmental actions that increase student success and teaching geoscience in society, there is something for everyone! 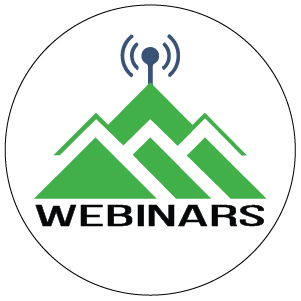 Explore this collection of career development webinars, which feature webinars focused on effective strategies for undergraduate geoscience teachers - including specific teaching strategies, developing assessments, and professional development, and on pursuing an academic career.